I have provided legal services to victims of land requisition and demolition and have represented them in many administrative lawsuits. In the course of this work and through interviews with the evictees, I have discovered that it is increasingly difficult for them to win lawsuits through judicial review of specific administrative actions even when there are clear facts and ample evidence showing that administrative organs are in violation of the law. It is becoming more and more difficult to even just file such lawsuits. Rulings that circumvent the law are prevalent. In localities where it is impossible to receive judicial fairness, multitudes of evictees head to Beijing, alone or in groups, with hopes that bringing their cases to the capital—a method handed down through the millennium—would exert political pressure on local officials and resolve their problems of unfair compensations for land requisition, demolition, and resettlement. But these individuals are repeatedly subjected to the “Anyuanding” treatment1—forced back to their hometowns by “black security forces” hired by local governments only to have their personal freedoms as citizens unlawfully restricted when they are sent away to attend “rule of law education classes,” a euphemism for black jails. For those evictees who strenuously resist land requisition and demolition, the local authorities often suppress them through judicial means, including Reeducation-Through-Labor (“RTL”) and even criminal penalties. The local authorities then force them to enter into resettlement agreements that strip them of their rights and humiliate their families. It is very common to see individuals being pressured into signing demolition and resettlement agreements in administrative detention centers, criminal detention centers, RTL facilities, and labor camps. Many evictees are caught in the vicious cycle of rights infringement-petition-new infringement-new petition year after year, and gradually get lost in it. In the end, they are reduced to being part of what Sun Dongdong has labeled the “paranoid crowd.”2 Losing the right to supervise public power is like being swallowed up by a great flood. 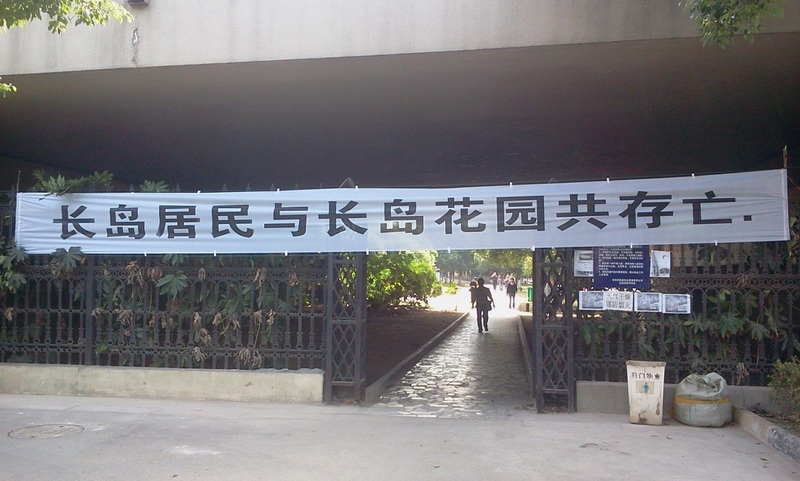 In order to prevent the recurrence of tragedies like Qian Yunhui’s being crushed to death,3 Tang Fuzhen’s self-immolation,4 Qian Mingqi’s explosions,5 and the police shootings in Panjin,6 we need citizens to exercise effective and continuous legal oversight of government officials and agencies to ensure they act within the constraints of the law. The author found out, through talking with citizens who previously experienced or are currently undergoing demolition, that the vast majority of evictees do not quite understand how important it is for land requisition and demolition to follow processes that are lawful, how to use the law to monitor these processes, how to use the law to compel the police to crack down on the various crimes that occur during unlawful land requisition and demolition. Even in instances when a certain number of evictees with common claims join together, the vast majority of them wait on the sidelines, each bearing his own calculated interests. They flock together when the situation is favorable and disperse in confusion when the situation is unfavorable. They basically do not think about unified actions to jointly fight for fair demolition standards or establish a platform for demolition negotiations. The vast majority of evictees are not too clear about the importance of open government information, or how to effectively mobilize the police, judges, and prosecutors to protect their rights and interests. In contrast, the demolition teams have common interests, unified action, and shared information. Every demolition action is decided through repeated joint discussions and deliberations. Even though the legal services for land requisition and demolition cases can be quite lucrative, local lawyers, in consideration of the great likelihood of confrontations with local governments, adopt a passive attitude in order to avoid representing evictees. Instead, local lawyers are more inclined to serve government agencies, resulting in seriously uneven distribution of localized legal service resources. In comparison, administrative agencies not only have numerous advantages such as access to information, manpower, financial power, and the judiciary, they also greatly control and restrict local legal service resources. You can almost say that evictees are in an entirely passive position. But still, evictees have considerable opportunities to curb illegal land requisition and demolition. This is to say that when demolition begins, use the Open Government Information Regulations to gather information about the illegal land requisition and demolition, and identify the evidence of the illegal requisition and possession of land and of the crimes of “intentional destruction.” When personal and property rights are being infringed, intelligently mobilize the police to carry out targeted crack-downs on crimes that violate personal and property rights by reporting to the police such crimes using the Public Security Bureau’s Law Enforcement Regulations. When encountering unfair administration of justice, use available Internet resources to independently release information, expose the injustice, sue judges who make rulings that circumvent the law to bring them to justice and to expel them from the court, thereby cleaning up judicial ranks. Rely on our faith in the law and never abandon the oversight of public power. Doing this will ultimately allow us to achieve the protection of our private rights and interests. In building citizens’ capacity to exercise legal oversight, evictees urgently need to master the use of the Public Security Bureau’s Law Enforcement Regulations. Although it might appear that this form of capacity building is far removed from realizing the individual’s rights and interests, it is actually the first step towards it. The author notes that, in past cases of forced evictions that involved bloodshed, the victims all had suffered isolation, helplessness, fear, and despair during the demolition—things that other evictees cannot avoid. When night comes and a group of unidentified people wielding knives, guns, and clubs come to your home to smash things, not let you sleep, hold a knife to your son’s neck, and force you to sign a demolition agreement, wouldn’t you be afraid? Wouldn’t you long for the attention and support of the outside world? Do you not hope that the police will promptly arrive and drive away the criminals? But when you dial “110”7 to make a report to the police, you discover that the police don’t seem to share your sense of imminent danger, and not only are they slow to arrive but they also seem well acquainted with the unidentified thugs. After exchanging pleasantries, they just shake their sleeves and take off, leaving you to face the brutal criminals alone. Are there really no ways to constrain these kinds of police officers? There are. Find a copy of the Law Enforcement Regulation of the Public Security Bureau, study the chapter on filing a police report, learn how the police are supposed to receive and handle reports. Understand that the police should file a Record of Inquiry and provide you with the procedural rules on Case Acceptance Receipt. Understand that the police are obligated to inform you within the time period prescribed by law whether your case has been accepted. In circumstances when a police officer does not comply with these procedural rules, write down the officer’s number and file a complaint to the Discipline Inspection Committee of the Public Security Bureau detailing the officer’s misconduct, and do the same at the Police Supervision Service. Lastly, make a formal complaint to the Procuratorate Office that the officer is concealing a crime. In this case, when facing administrative punishment or, in serious cases, even criminal charges, and perhaps the loss of a cherished job, the officer, even if reluctant, will act as though he or she is trying to protect you. If the officer’s superior attempts to shield him or her, then file an Administrative Reconsideration Application against the Public Security Bureau to which the officer and his or her supervisor belong, and let the government’s judicial department make a determination. If the legal representative in the upper echelons of the Public Security Bureau attempts to protect this officer, then file an administrative lawsuit and take this high-level legal representative of the Public Security Bureau to court, and organize the public to attend the hearing. If the legal representative of a Public Security Bureau repeatedly becomes a defendant, what will happen to the Bureau’s image? When compared with the management capacity of other Public Security Bureau branches, will this negative publicity not tarnish the prestige of this Public Security Bureau’s legal representatives? This will spur the executive officer at the Public Security Bureau to rectify the conduct of those involved in order to improve the overall social image of the police. Objectively, this will greatly promote the protection of citizens' personal and property rights. While using the Law Enforcement Regulations of the Public Security Bureau to mobilize the police to bring under control the individuals hired to carry out demolitions by force, we also need to increase the use of the Open Government Information Regulations. This also may not seem directly relevant to realizing an individual’s rights and interests, but in fact it is integral to it. The legitimacy of land requisition and demolition lies in the lawfulness of the process. Acts of land requisition and demolition executed through unlawful procedures are crimes. The Open Government Information Regulations are a “magic mirror” which can reflect illegal land requisition and demolition. They are also a great weapon for collecting evidence of crimes. One must study and use them well. We should aim to increase the transparency of government information, layer-by-layer, and peel off the “façade of legitimacy” from illegal land acquisition and demolition. We need to gradually master the process: request the disclosure of basic information and then the disclosure of supplementary information; then, use the disclosed information to request the disclosure of more information; and, finally, use the law to check, investigate, and question whether the authorities have followed the law through the whole process. Adhere to the principle of making events public, so as to ensure the accuracy of information. We need to practice the skills of using the law to request information disclosure. Finally, categorize and gather in one volume all the requests for the disclosure of government information for submission to the judicial departments as the evidence file for administrative reconsideration, administrative litigation, or criminal charges. 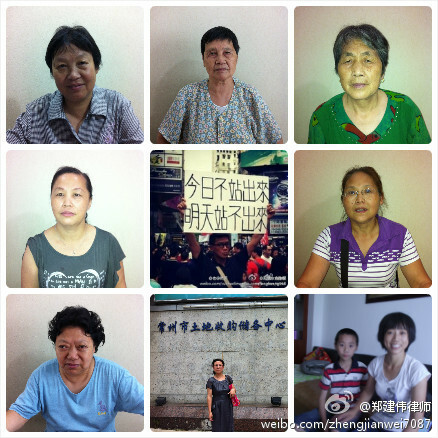 In circumstances where there are few media resources and little media attention, or when the media is not able to follow a situation closely, evictees should abandon telling their tales of woe like Xianglin’s wife did,8 and become self-reliant instead. Evictees must take the initiative to learn and master online information dissemination techniques, create their own custom media outlets, independently release information about citizen oversight actions, and completely abandon the past practice of humbly begging officials to find it in their conscience to solve their problems for them. Instead, they should solve their problems on their own, by establishing independent media oversight of officials. Let us stand up and show our moral courage. 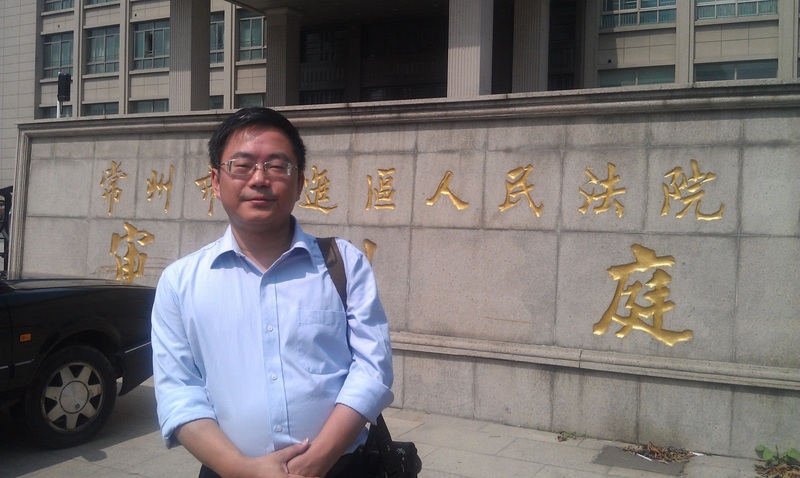 If justice has not been served in administrative rulings, administrative reconsideration, and administrative litigation, we must, through our own individual media outlets—using narratives, commentaries, and accusations in text, messages, and videos posted on Weibo—promptly expose and criticize judges who circumvent the law. We should also file criminal charges at procuratorate offices against those judges for alleged circumvention of the law. With regard to a judge who does not accept cases in accordance with the law, we should organize rights holders to jointly go to the Administrative Section of the court where the judge sits to carry out “citizens promoting knowledge of the law” and “citizen admonishment” actions. We should propose that the president of the court submit to the standing committee of the People’s Congress a citizens’ petition requesting the accused judge be removed from his or her post. This form of ongoing citizen action has many advantages: it will eventually become a warning to other judges, and help judges uphold the supremacy of the law, so that they will consciously resist government officials’ illegal interference in trials, progressively work towards the realization of judicial fairness, and collectively ensure that such officials and government agencies abide by the law. Lawyers working on cases of land acquisition and demolition have a great deal of room for their own development. Going out and sharing the know-how on building citizens’ capacity to exercise oversight using the law can not only reduce the potential direct conflict between the lawyers and local government authorities, but also enable evictees to make timely legal counterattacks against the rights infringements they have experienced. It is absolutely essential to help evictees build their capacity to investigate and collect evidence. Since evictees are all locals, it is relatively easy for them to collect evidence inconspicuously. What is needed is to build evictees’ awareness about investigation and evidence collection, and help them to understand what kinds of evidence need to be identified, what kinds of tools they can use to obtain evidence, what methods to use for transporting or transmitting evidence, how to master the timing for disclosure of evidence, and how to disclose evidence in a targeted and effective way. The close ties built between lawyers and the people through the process of jointly striving for the protection of private rights and interests will reestablish lawyers’ social reputation and image. Closely connecting the protection of lawyers’ rights with the work of defending citizens’ private rights and interests is also a good way to reduce lawyers’ exposure to the hazards of their profession. Improving citizens’ capacity to exercise legal oversight is also beneficial to lawyers in that citizens will have a deeper understanding of the efforts made ​​by lawyers to defend their private rights and interests. The positive interaction between lawyers and citizen rights defenders is beneficial for collaborative use of the law and will promote the restoration of those infringed rights. Promoting citizens’ capacity to exercise legal oversight is also beneficial to building a government with rule by law. The greater the citizen oversight, the more honest the civil service, which will help improve public trust in the government. By helping citizens build and strengthen their capacity to investigate and collect evidence, get information disclosed, and exercise oversight of government authorities; by helping citizens recognize that the correct path to protecting their private rights and interests is through legal oversight, and establish faith in the law; by teaching them to gradually abandon the bad habit of petitioning and instead move towards legal oversight actions—we will eventually succeed in restraining their power within the confines of the law. Perhaps if only one evictee were to master the skills of legal oversight and apply these skills in action, it might not have a great effect on demolition. But when more and more evictees practicing the skills of legal oversight, and continuously exercise this oversight on government authorities, the day we are able to restrain their power within the confines of the law will not be far away. I would like share this article in mutual encouragement with friends who are willing to become a qualified citizen! Zheng Jianwei (郑建伟), born in 1970 and a native of Chongqing, is a graduate of Southwest University of Political Science and Law. He has been practicing law since 1993, and has handled criminal defense, labor rights, and land requisition and resettlement rights cases. In recent years, he has been active in pressing for the repeal of Reeducation-Through-Labor, and in helping evictees build their capacity to use law to protect their individual interests.